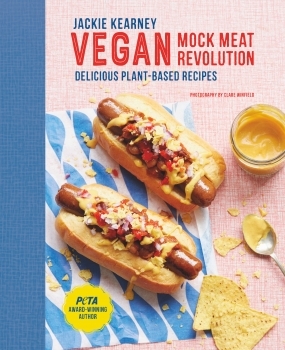 Vegan Mock Meat Revolution is out now, by Jackie Kearney, best-selling author of Vegan Street Food (Ryland Peters, Oct 2015) and My Vegan Travels (shortlisted for Edward Stanford Travel Writing Award 2018). BBC One's MasterChef finalist (2011) & British Street Food Awards finalist (2012). 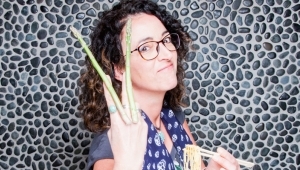 Top 4 finalist in BBC One's MasterChef 2011 series, Jackie's food passion lies with Asian street food, vegetarian & vegan dining. Join Jackie for an action packed day of cooking and dining with several top class cookery schools (check out the Events page for dates) or email to enquire about one-to-one and small group lessons in Manchester. 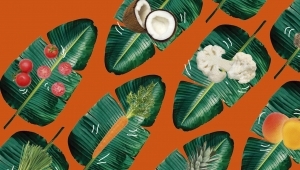 Award-winning cookery book, Vegan Street Food, packed with exciting vegan recipes & travel tales from India to Indonesia. Easy to follow website recipes, from classic Asian street food to traditional home cooked vegan & vegetarian dishes for all the family. 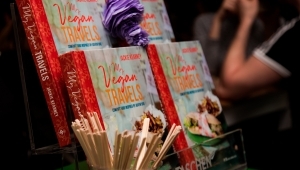 Jackie's new book My Vegan Travels is out now in all good bookshops. This time it's all about globally inspired comfort food!